Which cities are trending amongst Nomads? 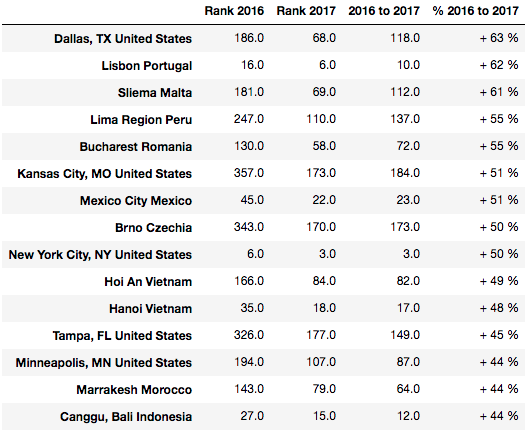 Which cities are losing steam the fastest? Do experienced Nomads travel to different places than beginners? 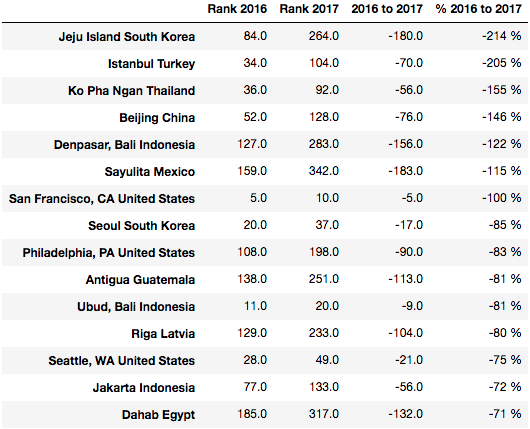 If you look at changes in popularity (from 2016 to 2017), which cities are trending? And which are untrending? 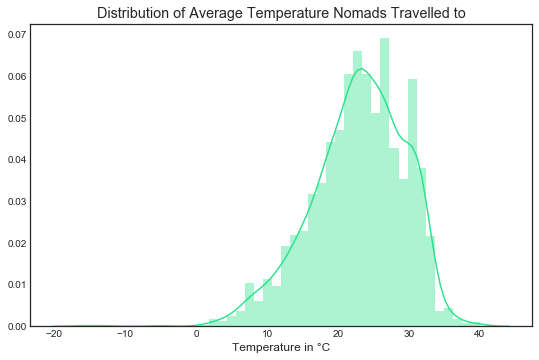 Most Nomads prefer a warm climate. 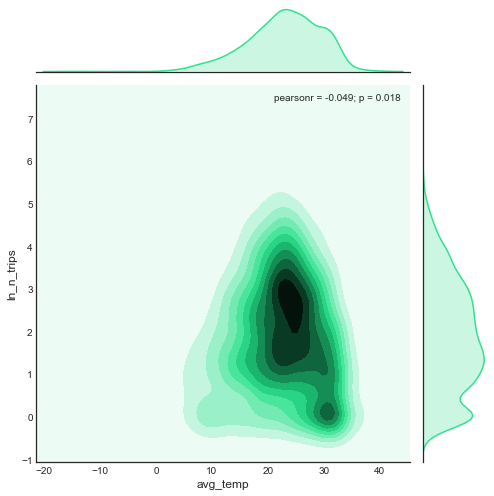 The peak is somewhere around 23°C. 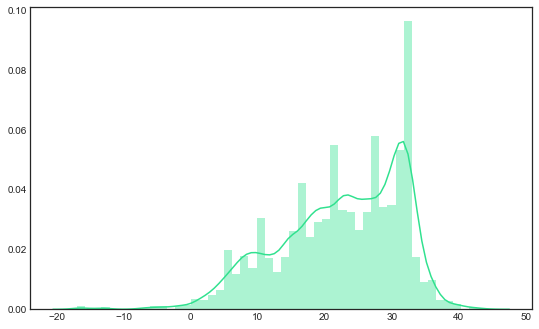 Looking at the data another way, I get a very different result! 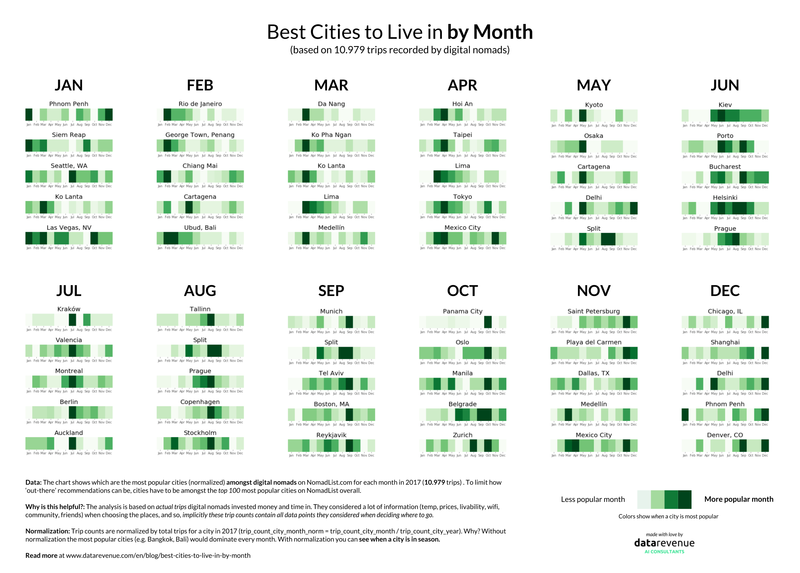 If you look at all individual trips, the most popular temperatures are much warmer. Let’s look into that more closely. Or at least on average they do. 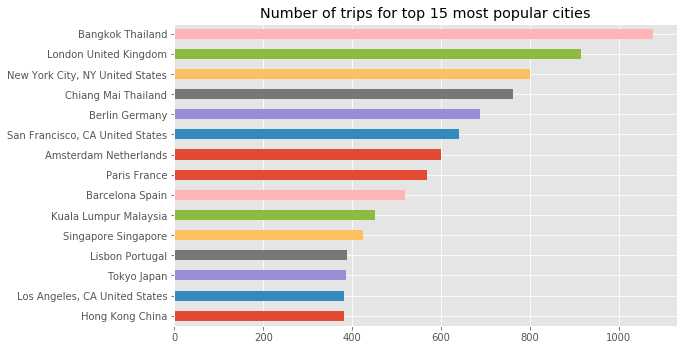 This could be because of selection bias: Users who record a lot of trips also record trips to cooler places (e.g., their home city), wheras Nomads with few trips only recorded their “time away”. You can speculate. Want to learn more? 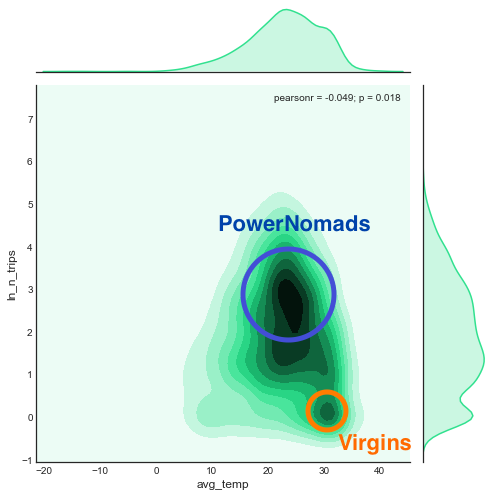 We’re also playing around with building a city recommender for Nomads.